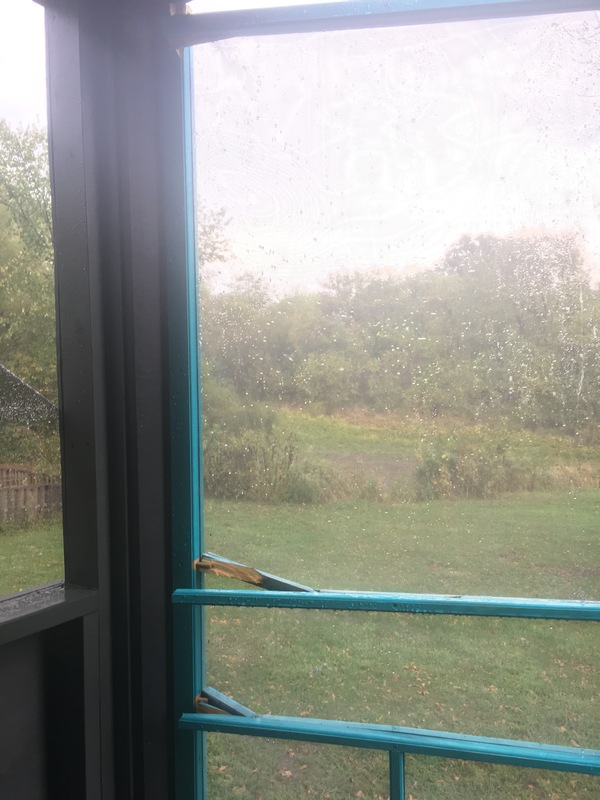 From screen door to baby chickens, here are a few updates for you, dear readers! 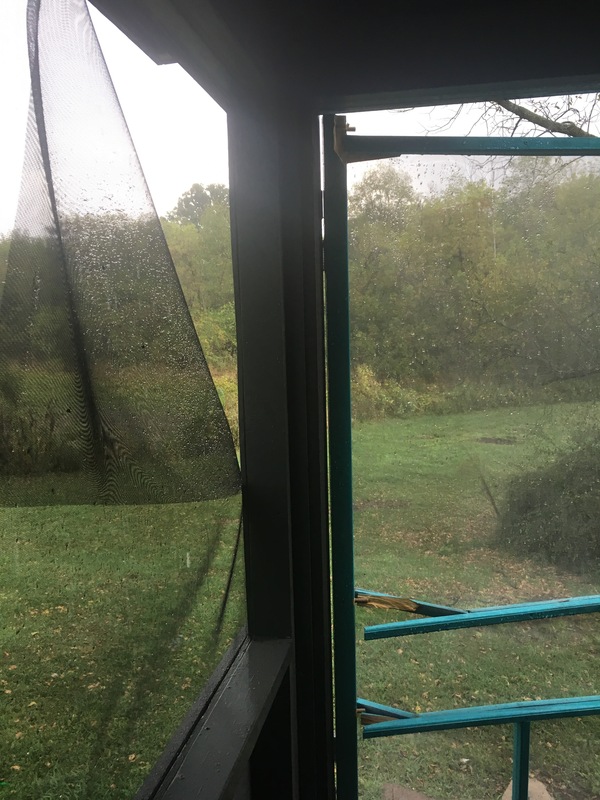 As we dive into fall, there is a self-imposed push to finish up outdoor projects and move back inside. But before we do, a few updates on some summertime items y’all like to ask us about. 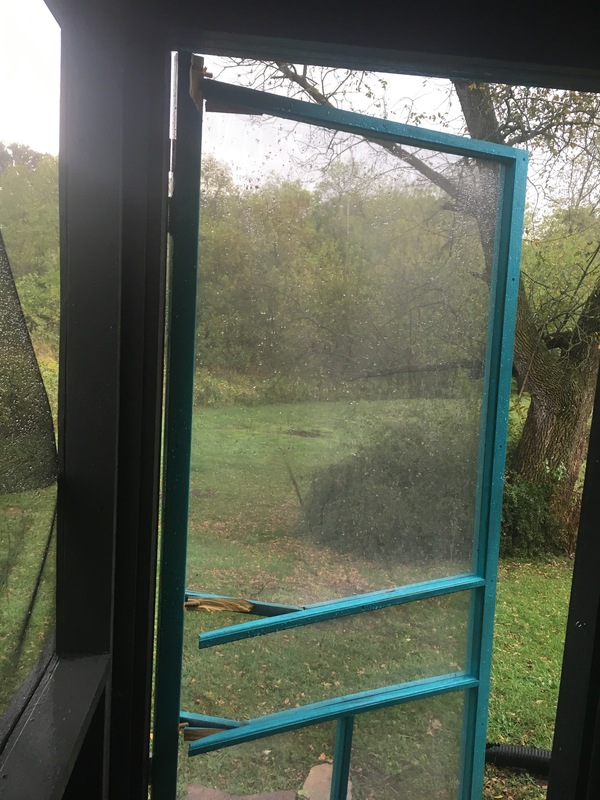 Unfortunately, our super-duper, double-layer screened door took a beating in a recent cray-cray storm. 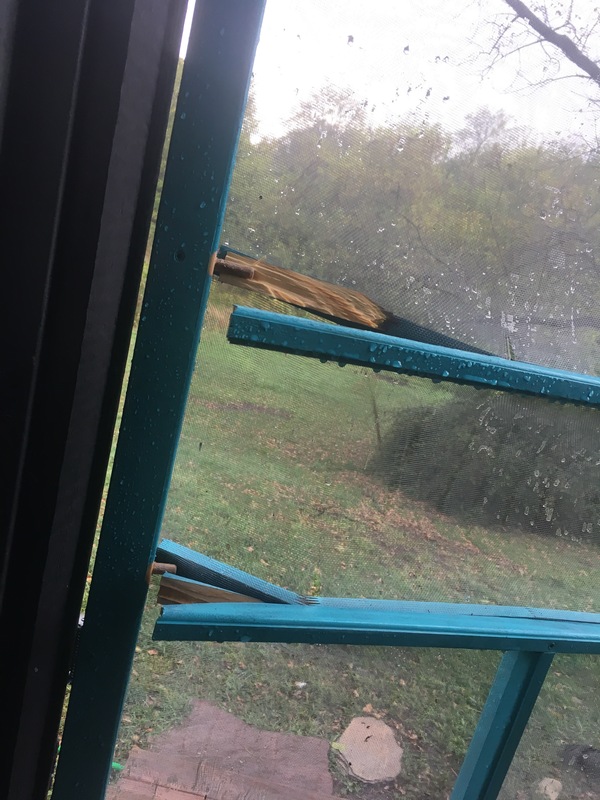 See for yourself…this damage was not the doing of our resident hairy maniacs, but rather straight-line winds that took out a few large pieces or our favorite giant Ash tree, too. On a separate note, our Mama hens are still taking their job very, very seriously (which makes snapping photos particularly challenging). 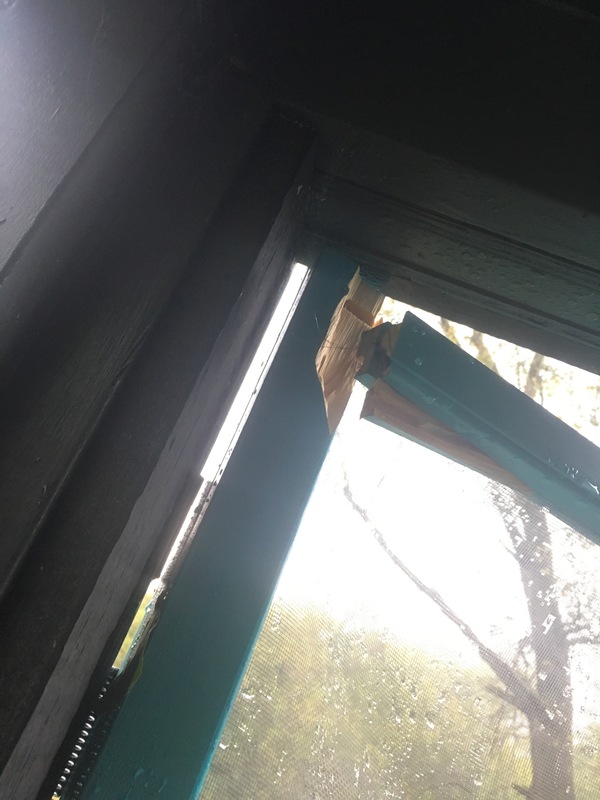 One recent comical situation…we have experienced some very cool—bordering on frost—nights. 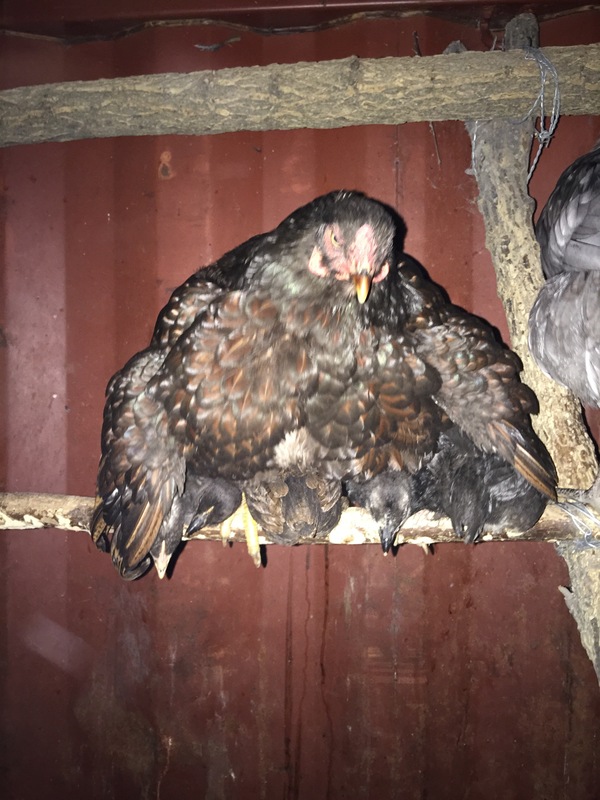 In their super-protective-Mama ways, the hens are doing their very best to keep their chiclets warm, even though those chicklets are too big to cover (see photos below). Even though our nights are frosty, the days are super sunny, warm, and glorious. 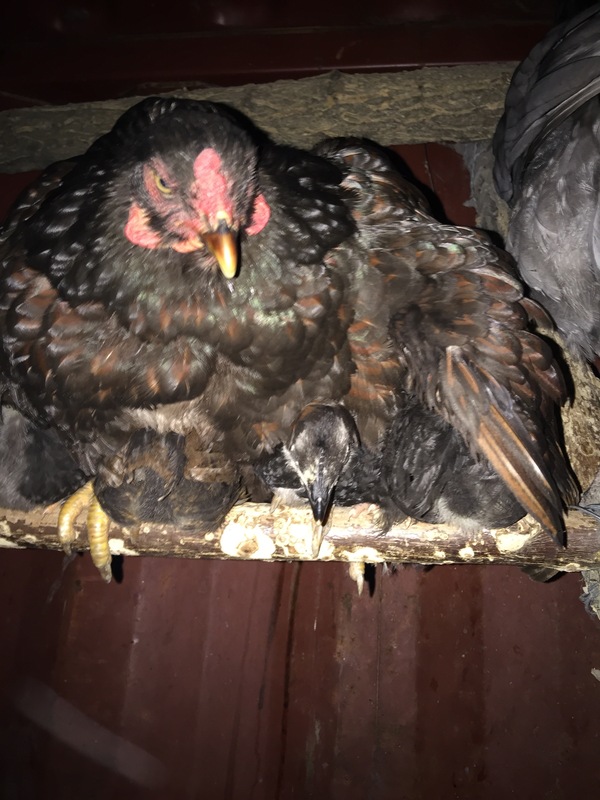 Here are a few short videos captured recently that show the chicklets and their Mama Hens out and about during the warm days. Can you handle the cuteness? Thanks so much, dear readers, for tuning in despite our lack of consistency in posting. 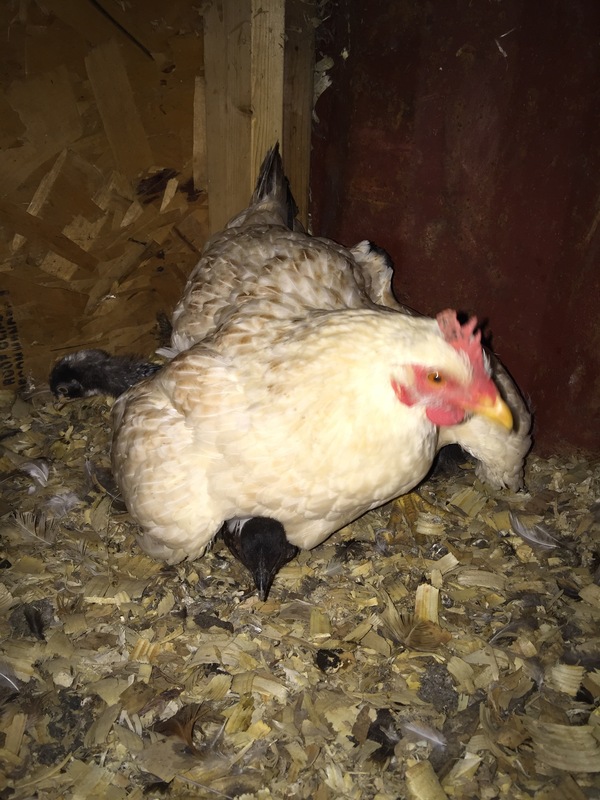 We are so excited to share Cockamamy news with you, even tough we aren’t on a regular schedule. You are awesome!